French Open bitcoin betting at Cloudbet shows a marked contrast in the Men’s and Women’s event. While our odds suggest Rafael Nadal will remain the undisputed King of Clay, the women’s event is wide open. Can Halep break her duck? Attempting to win a record 11th French Open Rafael Nadal is the undisputed King of Clay, and looking at his record on his favourite surface it is hard to see who can challenge his reign. To underline his utter dominance at Roland Garros, of those previous 10 French Open victories, three were achieved without dropping a set. Since 2005 only three other players have won the French open besides the Spaniard and any other name in the draw becomes an outsider to win the Grand Slam with Rafa confirmed. Nadal recently racked up an astonishing 50 set winning streak on the red stuff and is a deserving favourite at 1.40 . Though his odds are short, Nadal isn’t a certainty, they imply a 71% chance. Dominic Thiem ended the 50 set streak at this year’s Madrid Open where a straights sets defeat shows Rafa is human. Novak Djokovic is just one of three players in the draw to win a French Open, his title occurring in 2016. He is also the only player in the draw to defeat Nadal at the French Open, on his way to his 2015 final loss to Wawrinka. In his prime Djokovic was a match for Nadal on clay, but the Serbian is a long way off his best, returning from an extended injury layoff he has to prove both his fitness and mental focus. Djokovic was recently able to reach the semi-final in the Italian Open, where he took Nadal to a tie-breaker in the first set. If he can build on that performance he may be able to challenge the King of Clay and he is available at 11.2 to win a first Grand Slam since victory in Paris in 2016. With Murray and Federer not participating this year, Stan Wawrinka is only one of three players in the draw to face Nadal in a French Open Final, which occurred in 2017. He and Djokovic are the only two players in the draw to win a French Open during the ‘Nadal Era’. His victory was the first time since 2004 that neither Federer nor Nadal has won the title. Wawrinka is on a comeback from injury, but his recent successes at Roland Garros provide good value for the Swiss superstar at 42.0. Nadal has only lost 36 times on clay over his thirteen-year career. Dominic Thiem is one of just three players to have beaten Nadal at least three times on Clay, the most recent at the 2018 Madrid Open where he ended Nadal’s winning streak. Like Nadal, Thiem is a clay specialist and has been a semi-finalist in the two previous French opens, the furthest he has ever progressed in a Grand Slam. The Austrian has shown he can beat Nadal on his day, he just has to show he can replicate that on the biggest stage. If you think he is capable of that his available as the 9.25 third favourite to win at Roland Garros. Despite being only 21 years old, Alexander Zverev is expected to be the next big thing after the big four retire. He packs plenty of punch, especially with his 6ft 6’ frame. Zverev was able to take a set off Nadal as recently as May 20th, winning 6-1 in the second set of the Italian Open Final, where but for a rain delay he may have done much better. He came from a set down to force a third set and was a break up at 3-1 before play was suspended allowing Nadal to collect himself and win 5 straight games to end Zverev's 13 match winning streak. Zverev does have a clay title to his name this year, where he was able to capitalise on Nadal’s quarter-final exit and win the Madrid Open this year, while he was also a semi-finalist at Monte Carlo. That form makes him the second favourite priced at 8.00 but the biggest question mark is his inexperience at Grand Slams, with his best finish a fourth round at Wimbledon. Priced at a massive 38.0, Kei Nishikori is a potential Darkhorse to travel deep into the tournament following his Monte Carlo Final loss to Nadal. On his way to the final, he was able to defeat Zverev and Čilić. The Japanese superstar is also a two time French Open Quarter Finalist. Despite failing to win a Grand Slam, or a clay court competition this season, world number one Simona Halep returns to Roland Garros in an attempt to improve on her 2017 Final appearance and break a growing Grand Slam final hoodoo. She has 0-3 record, with two defeats occurring in Paris - 2014 and 2017. Despite that record the Romanian comes into this year’s tournament as slight favourite at 6.00, just ahead of Elina Svitolina, priced at 7.00 to win her first Grand Slam. Svitolina was able to defend her Italian Open title against Halep last week, which was a rerun of 2017 where she similarly overcame Halep. Halep has won tournaments on clay but was unable to defend her 2016 and 2017 Madrid open titles, only reaching the Quarter Finals in 2018. The world number one lost in late April on clay in Stuttgart to Coco Vandeweghe - not known as a clay specialist - where the eventual winner was Karolína Plíšková. That victory alone makes the Czech right-hander an outsider worth considering at 15.5 to win her first Major. The 2017 French Open was first time since 1933 an unseeded player took home the women’s singles title. Jelena Ostapenko of Latvia shocked the tennis world as she fought back from a set down to defeat 3rd seed Halep. The 20-year-old will enter this year’s tournament as one of the top seeds, with odds of 13.7, though he recent form has been indifferent with her best result a straight sets defeat at the Miami Open. Serena Williams gave birth to her first child on September 1st 2017 and has played just four times in 2018 with a 2-2 win loss record. The key factor to consider when assessing the betting on the WTA side of this year’s French Open, is the uncertainty surrounding currently unseeded Serena Williams. She gave birth to her first child on September 1st 2017 and has played just four times in 2018 with a 2-2 win loss record. Williams withdrew from the Madrid Open and the Italian Open in quick succession, just days before the start of each tournament. Instead of playing in Rome, she chose to attend the Royal Wedding of Prince Harry and Megan Markle just a week before the start of the French Open. This could bring into doubt the chances of her playing the French Open or at least, how serious the athlete is taking the competition. But it is impossible to doubt she still has the skill to defeat the best in the world. What bettors cannot ignore is that Williams is a twenty three-time Grand Slam title winner (including three French Opens) in which context her odds of 11.0 may seem very generous. While considering the best in the world, Maria Sharapova is another ex-champion who knows what it takes to win a French Open (2012 & 2014) and is similarly on a journey of redemption following her 15-month suspension for a failed drug test. Her semi-final defeat in Rome to Halep, who she led 1-0, is her best result in 2018, and may suggest she is reaching form at the right time. The former world number 1 is priced at 11.2 to win her third French major. Another notable entrant is Petra Kvitová, who won this years Madrid Open and Prague Open. She is currently priced at 14.0 to win her first French open. Venus Williams potentially provides the best value of all in what is a wide open event, priced at 47.0, the 9th seed will aim to become the oldest female French open winner at the age of 37 years old. Betting on the French Open is challenging and exciting but betting on the French Open with bitcoin takes it to a new level. 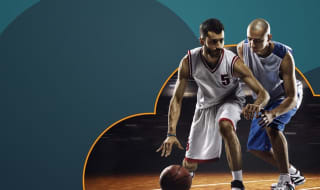 Join the bitcoin betting revolution by opening an account with Cloudbet, you won't look back.